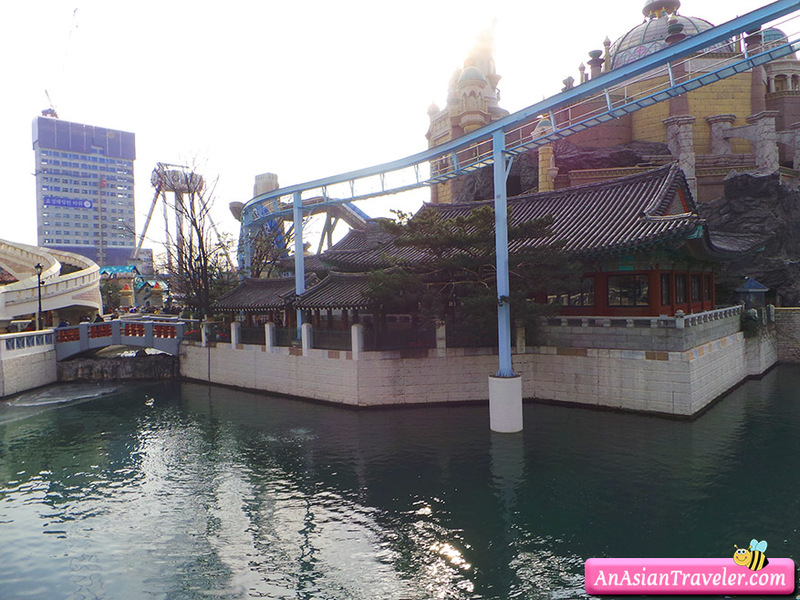 Lotte World is a major theme park in Seoul. 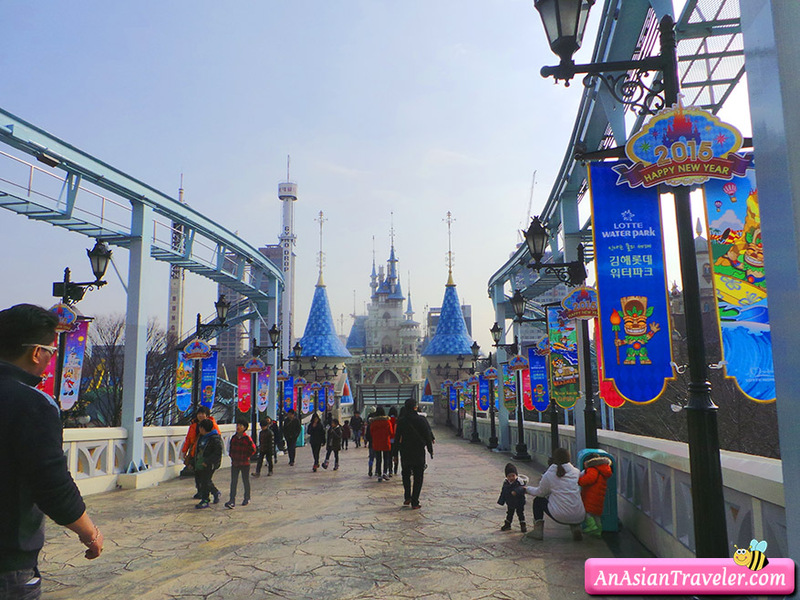 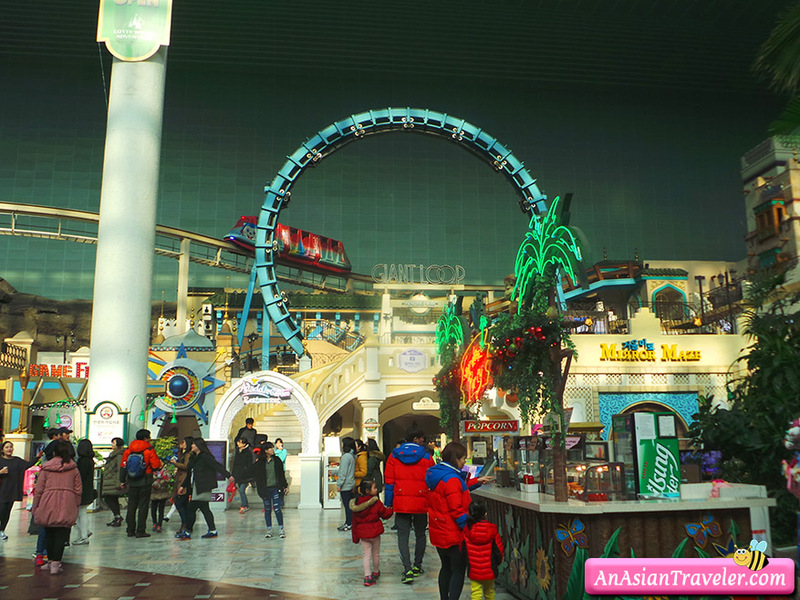 It is divided into an Indoor Adventure theme, and an outdoor theme park called Magic Island where visitors can access through a connecting passageway on the 2nd floor. 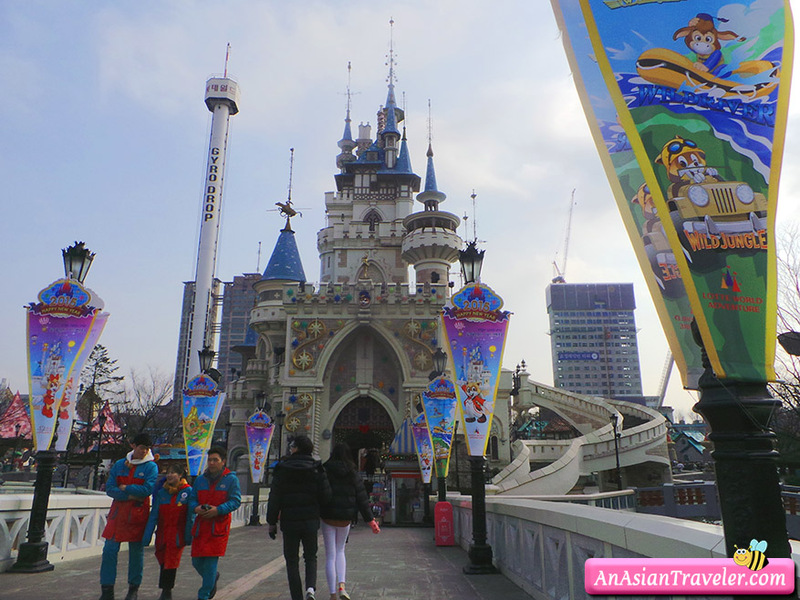 The best way for us to get to Lotte World was to take a taxi. 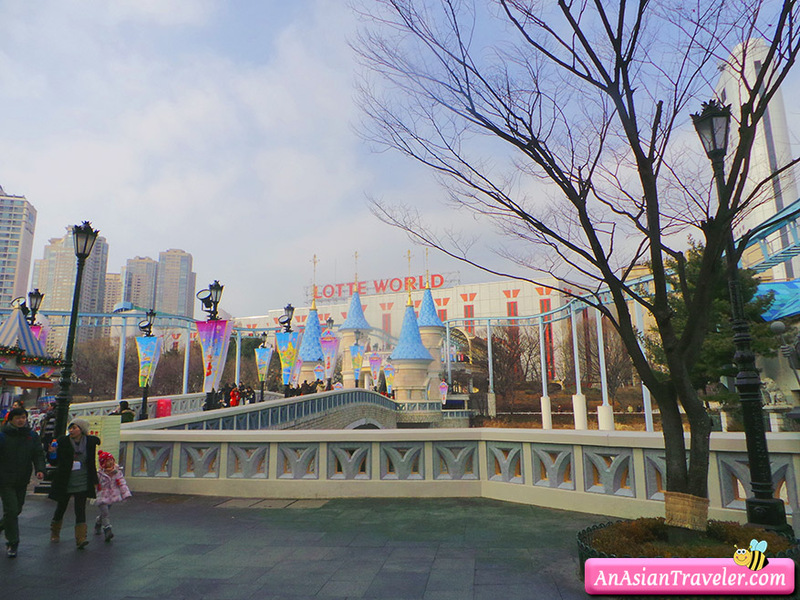 The driver dropped us off in front of Lotte Department Store where the theme park was located. 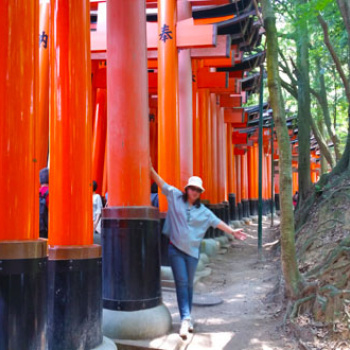 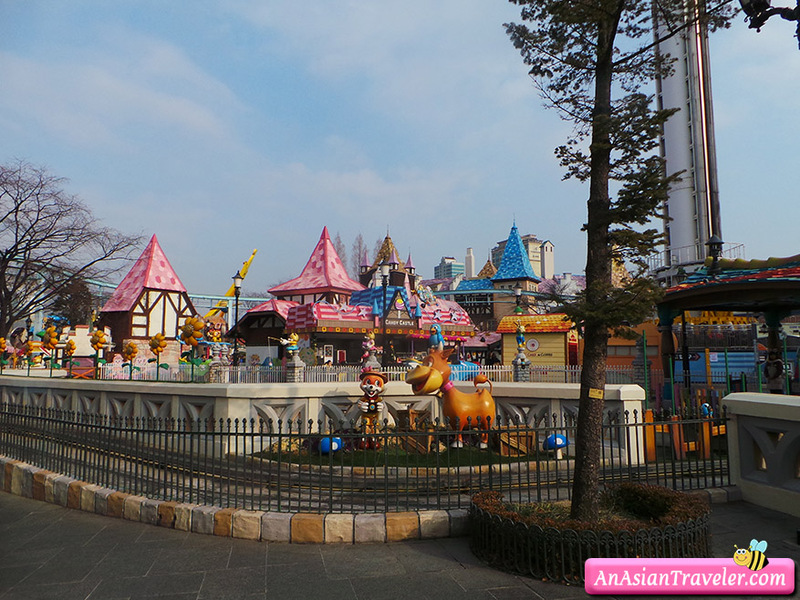 The park's atmosphere was very relaxed and lots of locals mostly a group consisting of families hanging out. 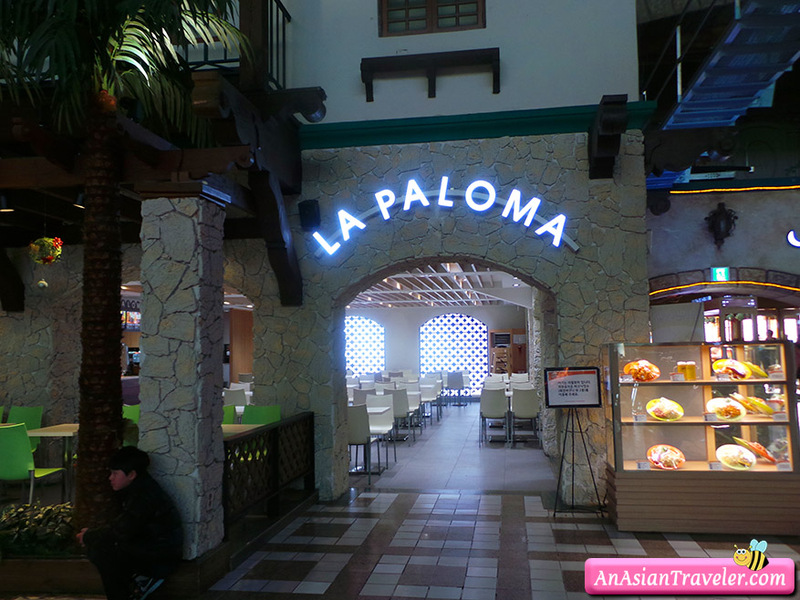 To recharge our energy we had our lunch at La Paloma, a Mediterranean grilled food restaurant. 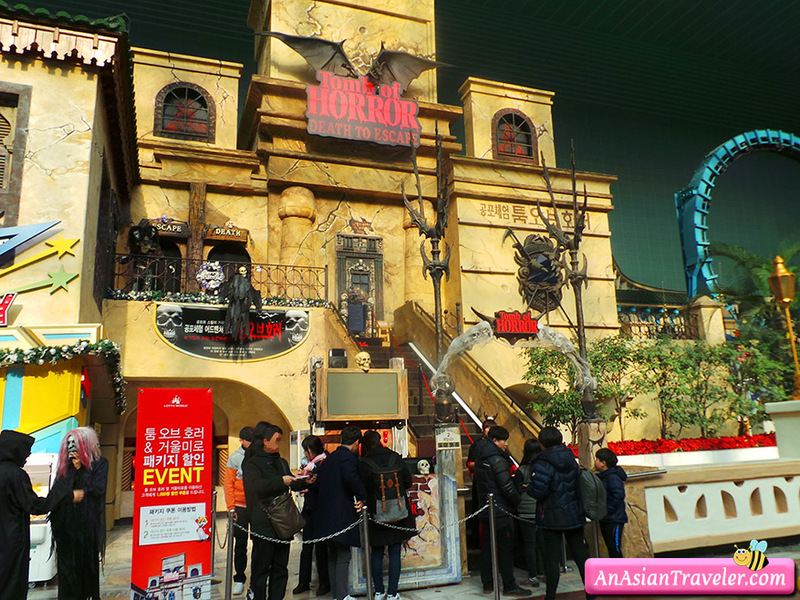 We had a good time at the Marvelous Art Museum exhibiting full of 3D illusion photos. 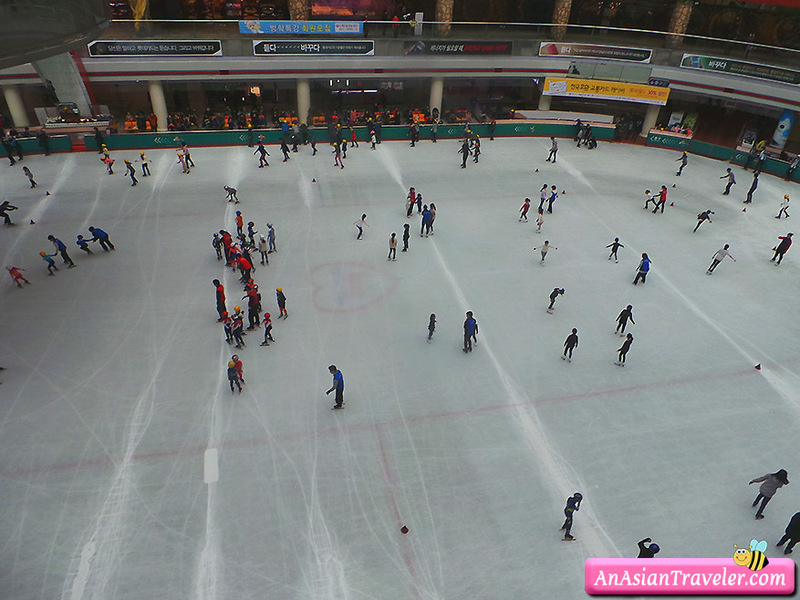 There are also parades, stage shows, an ice rink, a lake (outdoor park) and a folk museum on the 3rd floor. 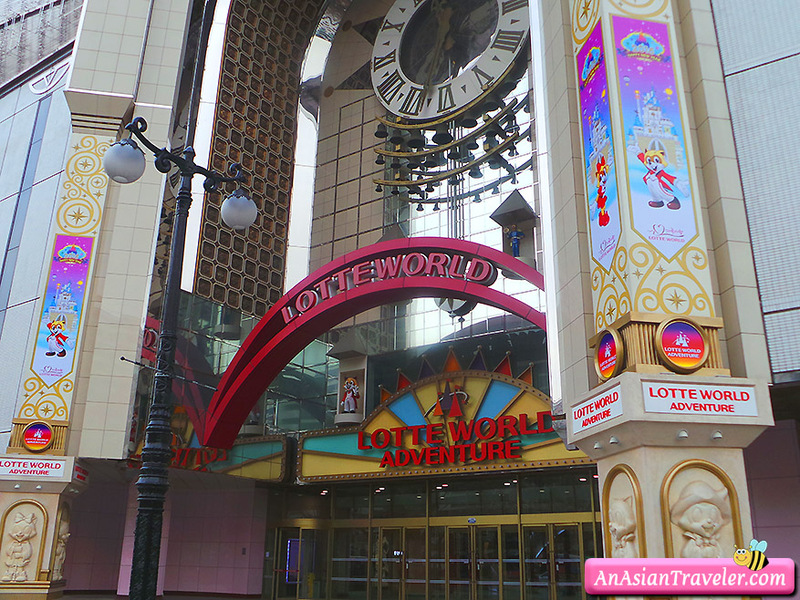 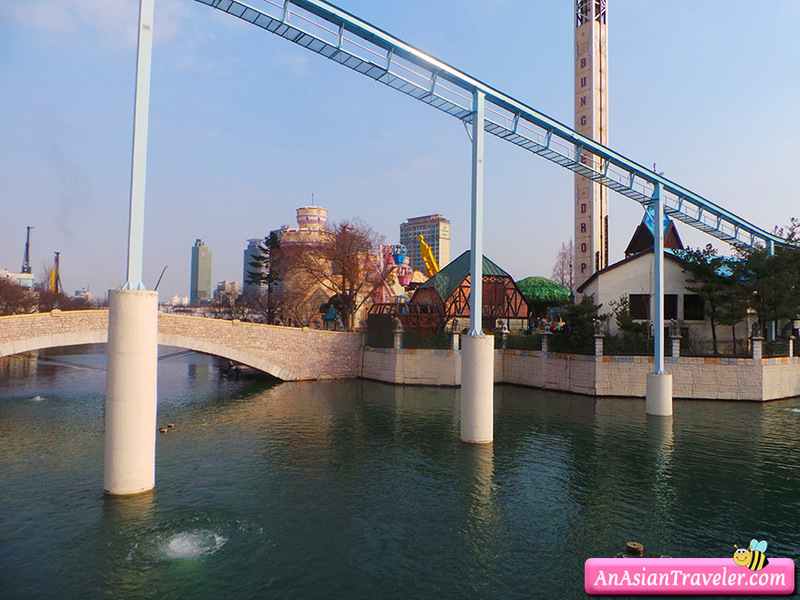 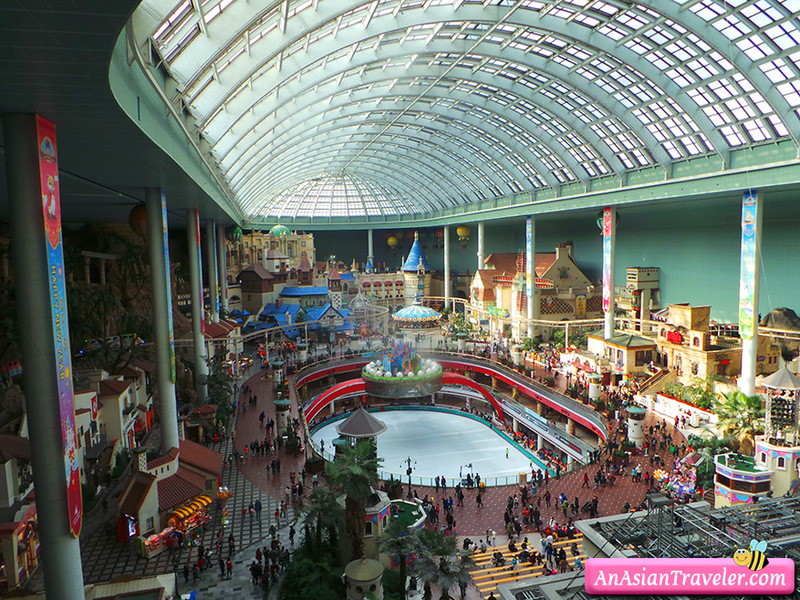 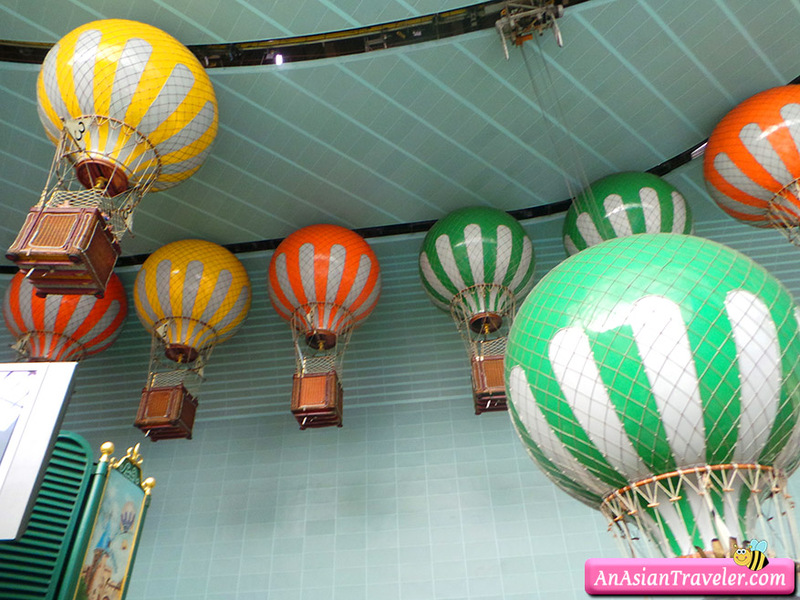 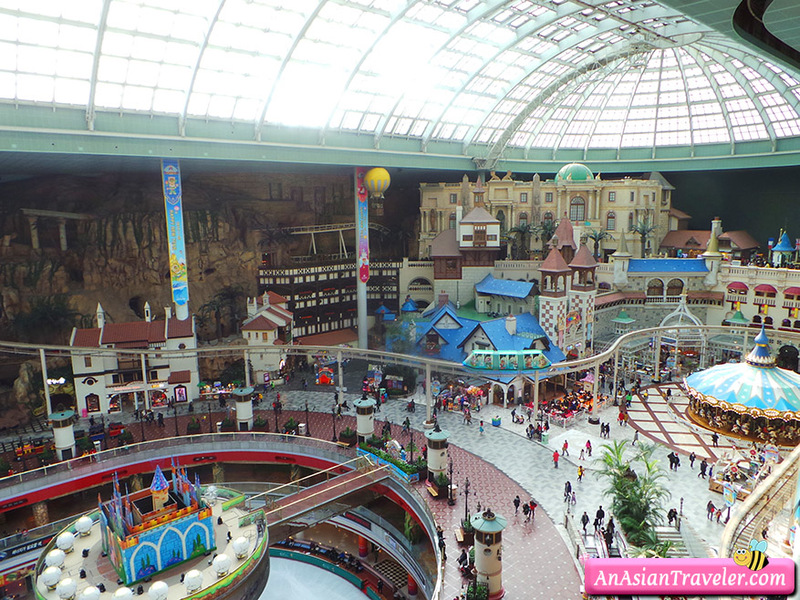 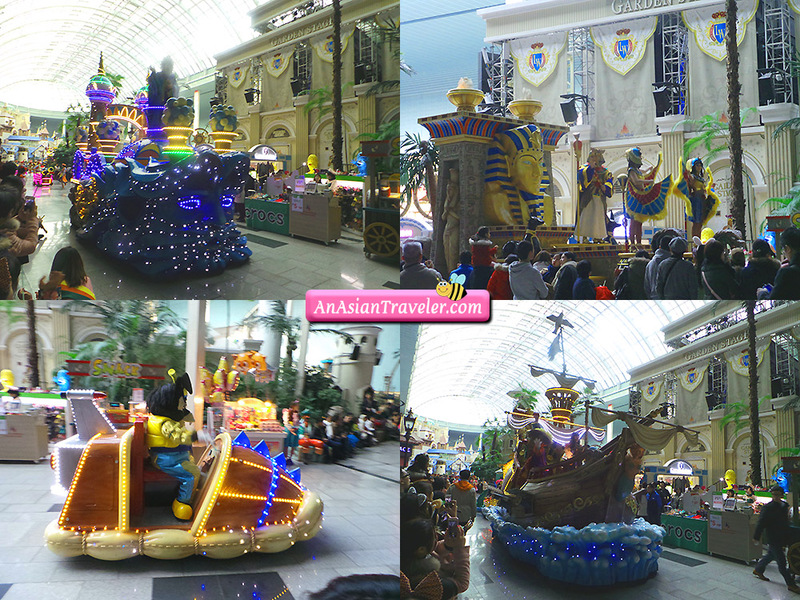 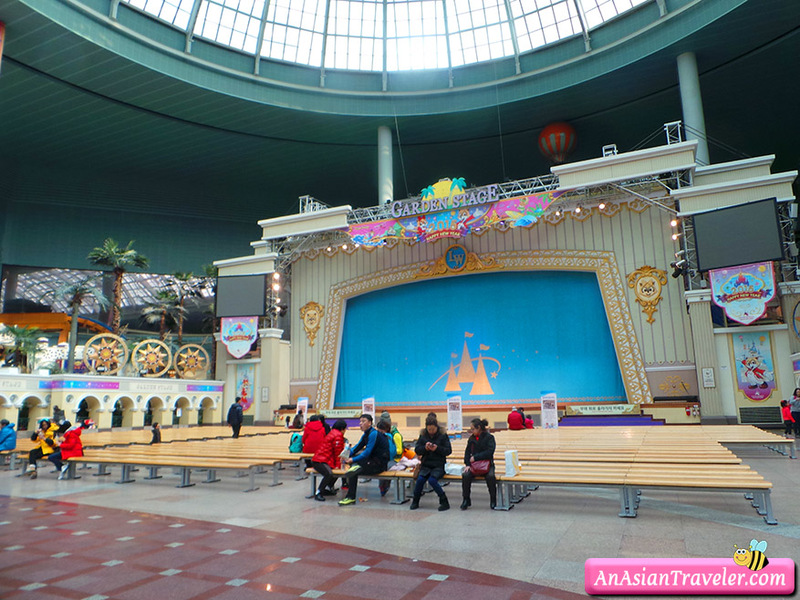 Lotte World first opened in 1989, and it is the largest indoor theme park in the world. 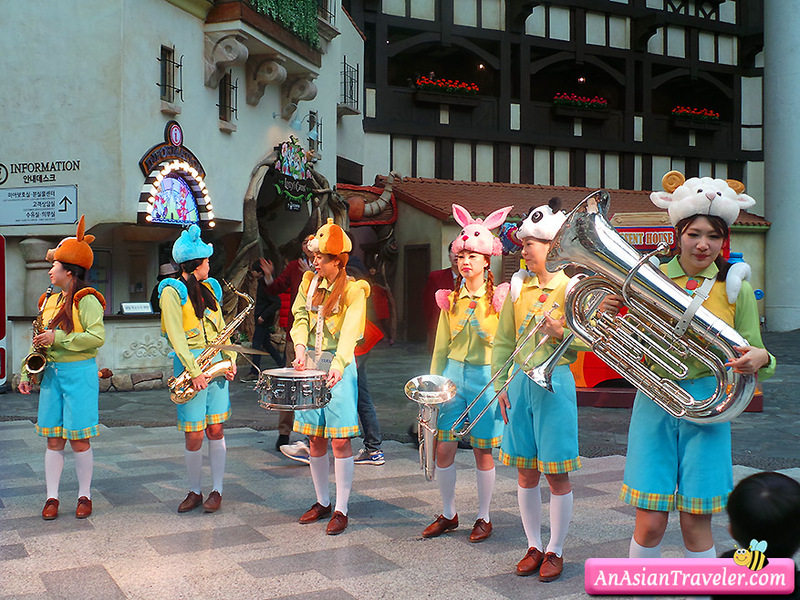 The park is also holding various festivals throughout the year.